In just over three weeks, the next chapter in Sid Meier’s franchise, Civilization: Beyond Earth, will launch. With the dawn of mankinds bid for survival just around the corner, Firaxis have released a lengthy trailer, detailing how a typical game plays out from start to victory. Your choice of sponsors for your civilization, your chosen affinity to help promote your chosen values and most importantly, all the different ways you can win the game. If you’re remotely interested in the game, it’s worth a watch. I like the look of the Harmony affinity; why wouldn’t you want to take advantage of riding around on top of alien raptors!? The new web tree also caught me eye, as I’m usually one for waiting until I’ve maxed everything out before crushing my foes, leading to even more abnormally long games. This should help remedy that, sort of. 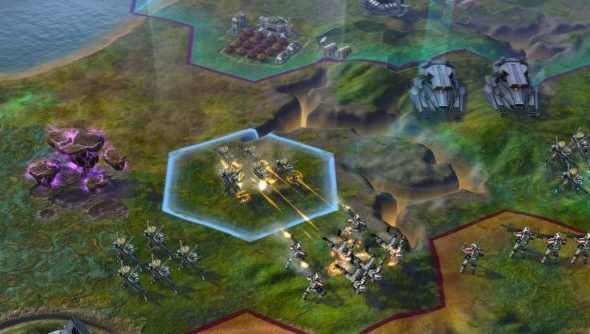 How do you plan to roll in your first few games of Civilization: Beyond Earth?